Find out how to download your flipbooks in GIF format. With Flipsnack, you can now download your flipbook in GIF format. 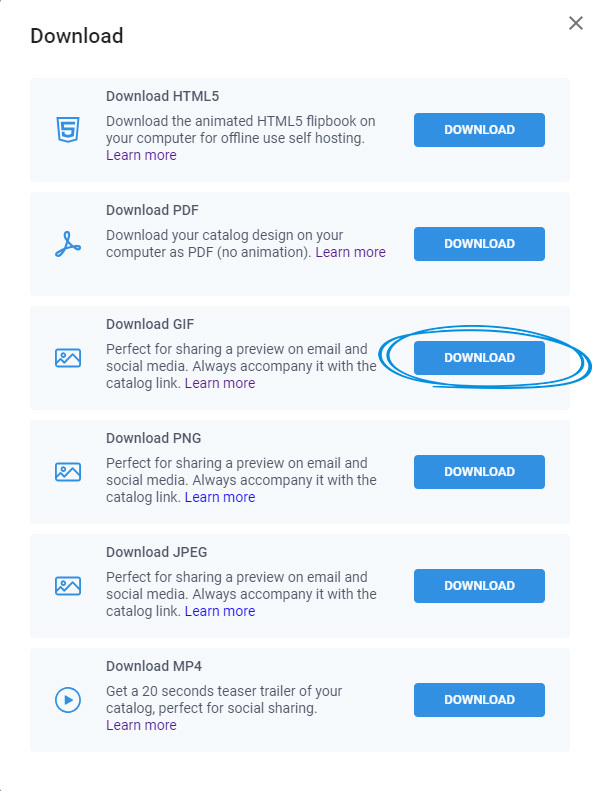 Whether you have created your flipbook from scratch or you have used PDF files to create it, you can easily download it by going to My flipbooks, locating your flipbook, clicking on the three dots next to it and select Download. 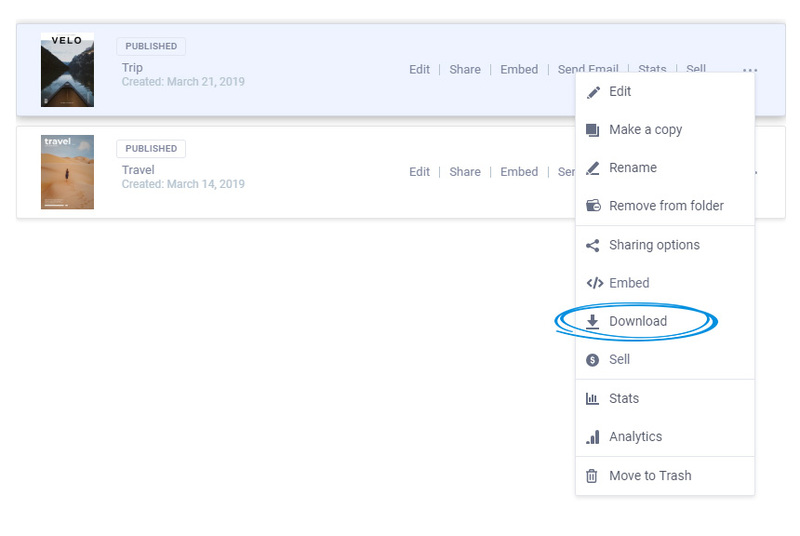 From the newly opened pop-up, select the Download GIF option and click on Download. This will download the first 7 pages of your flipbook in GIF format, no animations, just screenshots of the pages. This export is a lightweight and easy flipbook preview which makes it the perfect feature for sharing a sneak-peek of your flipbook on email and social media. Make sure to always accompany it with the catalog link so your readers can directly access your flipbook.